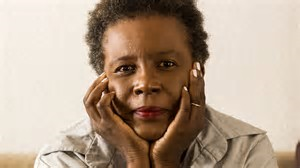 Citizen: An American Lyric by Claudia Rankine won the PEN Open Book Award and the PEN Literary Award, the NAACP Award, and the National Book Critics Circle Award for Poetry. It was my great pleasure to see Claudia Rankine recently at Emerson College in Boston. She spoke On Whiteness – sharing images and research on the concept and practice of “whiteness” from a class she taught at Yale. Her presentation was like a candle flame that becomes incendiary. Citizen: An American Lyric – this book…this epic should be read in its entirety, so selecting an excerpt is not the best thing to do but it is the right thing to do because I want to share something from it during National Poetry Month. The book is free form with poetry-lyrics-essays-observations moving in and out, back and forth. The words, with images that support and expand them, burn. I knew whatever was in front of me was happening and then the police vehicle came to a screeching halt in front of me like they were setting up a blockade. Everywhere were flashes, a siren sounding and a stretched-out roar. Get on the ground. Get on the ground now. Then I just knew. And you are not the guy and still you fit the description because there is only one guy who is always the guy fitting the description. I left my client’s house knowing I would be pulled over. I knew. I just knew. I opened my briefcase on the passenger seat, just so they could see. Yes officer rolled around on my tongue, which grew out of a bell that could never ring because its emergency was a tolling I was meant to swallow. Yes, this is a tease. I didn’t even touch the part about Serena and Venus Williams or Katrina or various situations of micro-aggression or…get the book. Read it. About National Poetry Month: Inaugurated by the Academy of American Poets in 1996, National Poetry Month, held every April, is the largest literary celebration in the world with schools, publishers, libraries, booksellers, and poets celebrating poetry’s vital place in our culture. Being a mother of a Black son is quite challenging. There is an underlying worry particularly when they go into adolescence and beyond.